A new era begins Saturday in Mexico with the inauguration of Andres Manuel Lopez Obrador as its new president. 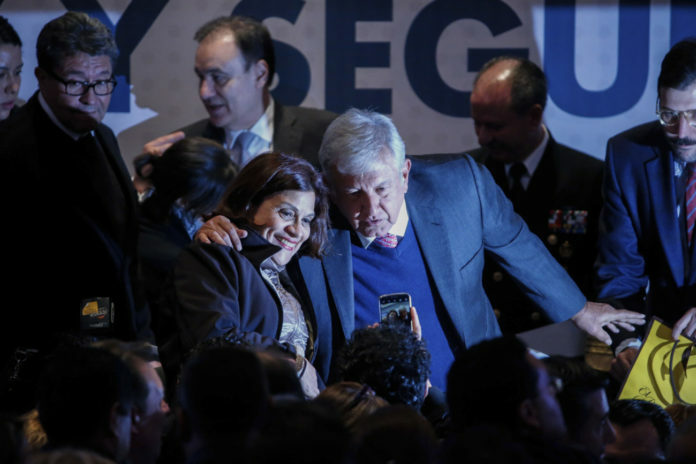 Generally known by his initials, AMLO is a leftist-leaning populist, perhaps in the pattern of the post-revolution Institutional Revolutionary Party, or PRI, which held control of the government for most of the 20 century and for the past six years. Lopez Obrador, however, represents a coalition of other parties and was elected largely on a promise of reforms to address rampant corruption within the PRI. A change in government always brings uncertainty, but Rio Grande Valley officials should be proactive with regard to any changes that might occur. Relations between our two countries directly affect those of us who live on the border. All major elements of the border economy — industry, agriculture, retail, finance and tourism — rely on open trade between the U.S. and Mexico. Immigration and border security also are major international issues that weigh heavily on the Valley and other border areas. Certainly, federal and state officials on both sides of the Rio Grande recognize the need to maintain positive relations and open dialogue to secure the best future possible for our two countries and our residents. We also trust local officials to nurture cross-border links to maximize potential benefits. We don’t yet know if the new regime will completely replace the existing PRI government, or if some officials, such as local consul Juan Carlos Cue Vega, will continue their service. Valley officials should prepare for possible change, and offer assistance to make any change as seamless as possible. They also monitor the progress of the reworked trade agreement between the United States, Mexico and Canada, which was forged with Mexico’s outgoing president Enrique Peña Nieto but hasn’t been ratified by legislators in either country. Now is the time to voice support for the pact with officials on both sides of the border, or suggest any changes that might benefit this region. Immigration is another high-profile issue that affects both the United States and Mexico, especially at present when large groups of Central American migrants are at our border crossing points. While federal agencies deal with the legal issues involved in such a large wave of undocumented people seeking entry into the U.S., local officials, community agencies and others can address humanitarian issues by reviewing what resources might be available to address the migrants’ needs. Threats of closing the border until the migrant issue is resolved should alert Valley officials and interests to the need to expand options that can keep the lanes of trade open. Contingent or even permanent routes could be expanded that utilize seaports, such as from Tampico to Brownsville, rail lines or even airports. Diversity can help mitigate the potential devastation that the loss of any single trade route could produce. Mexico’s regime change brings uncertainty in the short term, but could create opportunities for better relations and greater progress for the Valley and for both our countries.